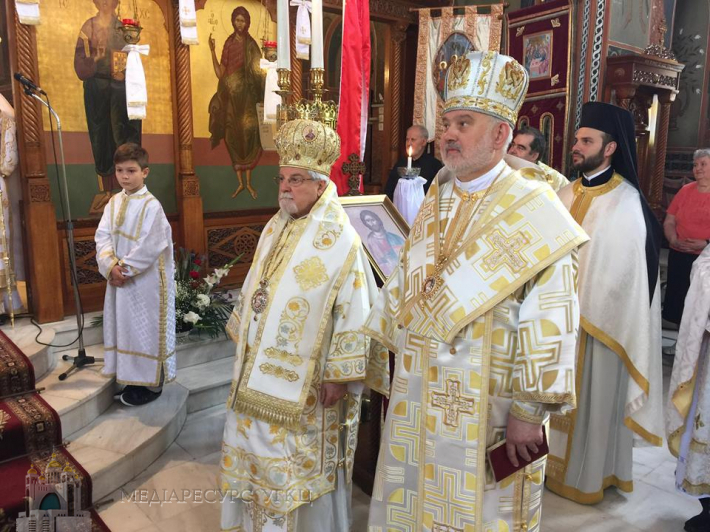 On Mother’s Day, the Head of the UGCC, His Beatitude Sviatoslav, led the Liturgy in the Temple of the Holy Trinity of the Greek Catholic Exarchate in Greece on the occasion of celebrating the 20th anniversary of setting up the Ukrainian church community in Athens. Together with His Beatitude Svyatoslav, the Mass celebrated: Exarch for Greek Catholics in Greece Bishop Manuel Nin, Apostolic Nuncio in Greece Archbishop Savio Hon Thai Fay, Exarch Emeritus for Catholics of the Byzantine Rite in Greece Dimitrios Salahas, Head of Pastoral-Migration Department (PMD) Bishop Josyph (Milian), pastor for Ukrainian Greek Catholics of Greece Fr. Andriy Tverdokhlib, secretary of the PMD Andy Gah and others. 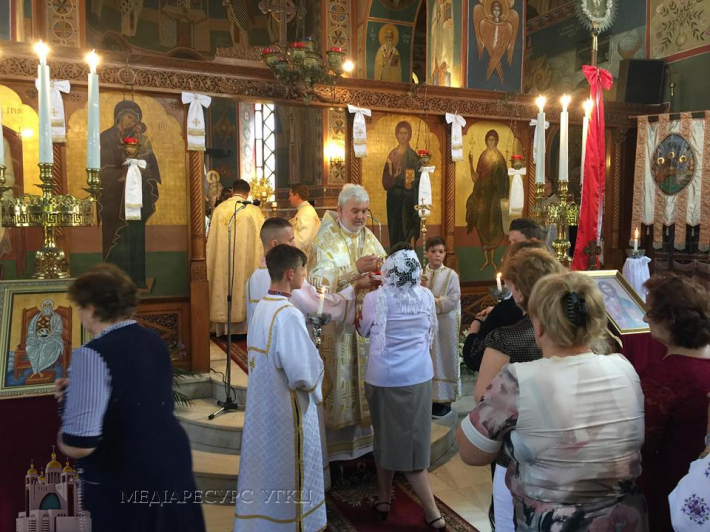 After the Liturgy, His Beatitude Sviatoslav spoke to the Ukrainians of Athens and congratulated all those present on the Mother's Day. "I am thinking about the words of one of the Fathers of Church, who, in the long days of persecution of Christians in the Roman Empire, said the following phrase:" No one can have God for his Father if he does not have a Church for his mother. " I think the early Christians who were persecuted for their faith felt that the Church was their beloved mother, who rescues them, hugs them, returns them hope, and gives them light in the earthly life. Today we celebrate Mother's Day. First of all, I would like us to celebrate the feast of our mother, the Church of the UGCC. She is your mother who loves you, who cares for you, prays and never forgets you!" said the Father and the Head of the UGCC. "I want to greet all the women with this day and sincerely bow to you. Let each of us now remember the face of our Mother. If she is already in heaven, with God, recall her face and thank her for giving her life. If Mom is near you - hug her and let her feel that her child loves her and respects her motherhood. If Mom is in Ukraine - call her and say the words of gratitude on this day. And if you are the Mother who went abroad to make money for the sake of the future of her children, I want to be the voice of your children and say: "Mummy, I thank you sincerely," said His Beatitude Sviatoslav to the women present. 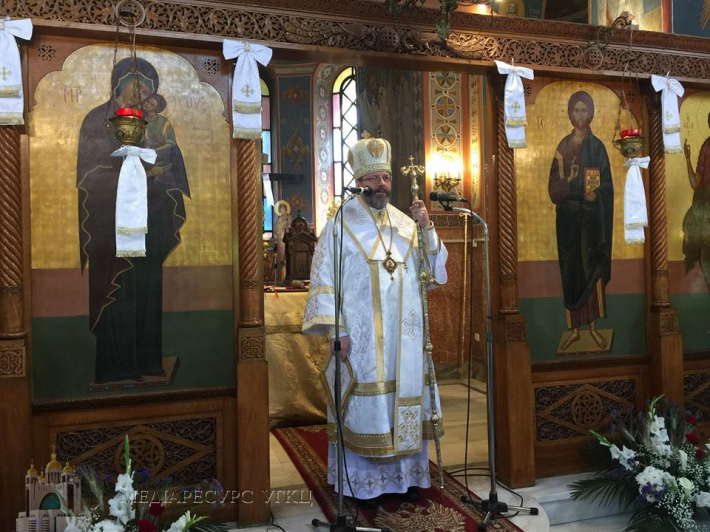 The Head of the UGCC noted that Mother gave life to each of us and opened the whole world. "St. John Chrysostom, the Golden Mouth, says: parents - dad and mom - must open the doors of eternal life for their children, to give them not only the earth, but also heavens. Therefore, the mother is usually the person who taught us to believe in God. Mom or grandmother are those who showed us how to make а sign of the cross. From them we learned to pray. And I want to thank the Ukrainian Mother, who is a teacher of faith for her children. Thank you for teaching your children and grandchildren to believe in God and for passing down your faith to the next generations! "- said the Head of the UGCC. The Head of the UGCC added that we use the term "mother tongue". This is the language our mother spoke to each of us. 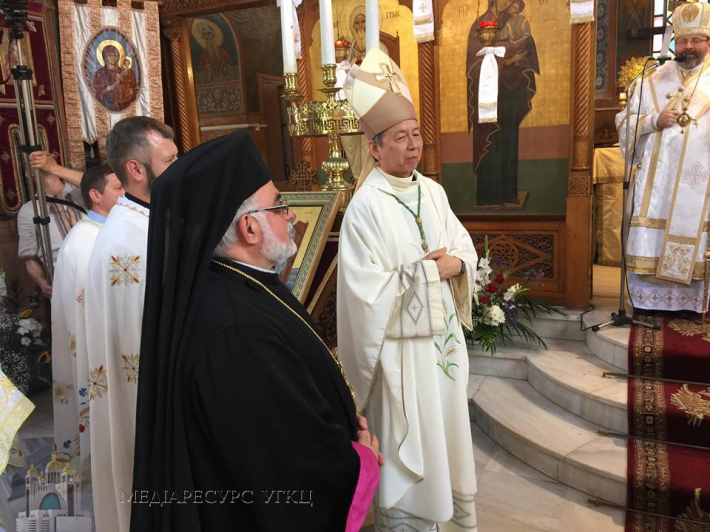 His Beatitude Sviatoslav thanked those mothers who, even far from Ukraine, are doing everything to ensure that the Ukrainian language will always be the mother tongue of their children. "Through your word to your children, you do everything that even beyond the boundaries of our native land, Ukraine becomes a mother for our children and grandchildren all over the world!" 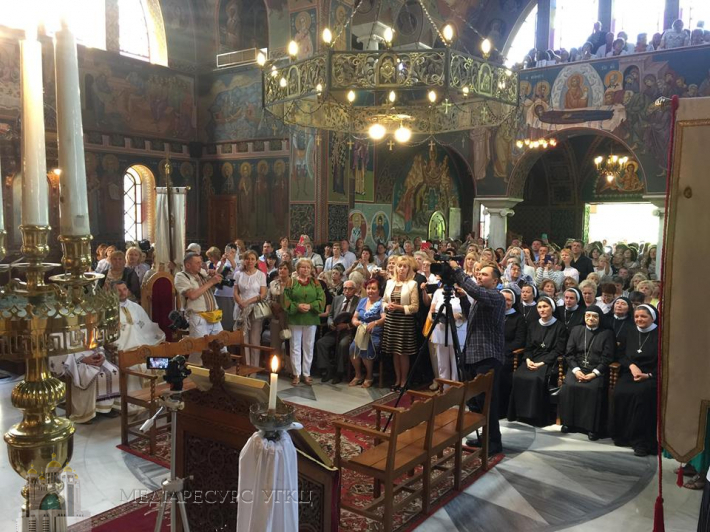 - addressed the mothers, who were present there, His Beatitude Svyatoslav. After the speech of the Head of the UGCC in Athens, a festive concert with the participation of the People’s Artist of Ukraine Oksana Bilozir and local bands began.